Are you looking for a complete list of foreclosures in the Boise, Meridian, or Eagle ID area? If so, you're in the right place! We have access to the complete database of foreclosure properties and will be happy to provide you the list via email. To receive a list of bank-owned real estate tailored to your exact specifications simply fill out the form below. You will also be notified by email when new properties come on the market or when a price is reduced. Privacy notice: No spam! We will not sell or distribute your information in any way. Your information is collected only for the purpose of serving your real estate needs. Bank-owned homes can be a great way to get a to buy a property under market value. These properties are also known as "foreclosures", "bank-foreclosures", and "REOs". 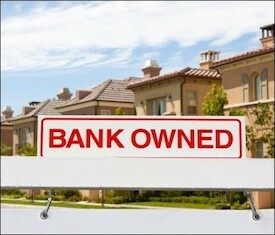 To learn more about bank-owned real estate you can read this article. Bank-owned property assistance. Please let me know if I can answer any questions about bank-owned real estate in the Boise, Meridian, or Eagle ID area. Contact Us. Data Source: IMLS. Disclaimer: Information is not guaranteed. I reserve the right to refuse or cancel this service.